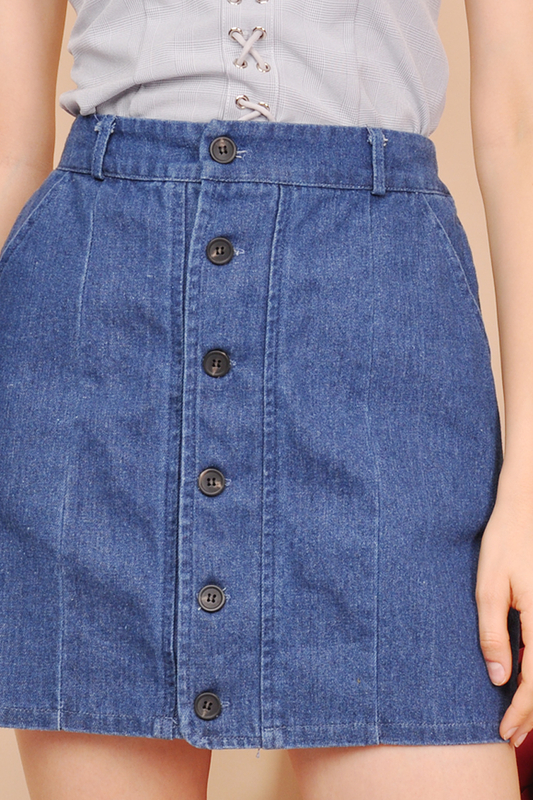 From maxi to midi, elasticated denim skirts are so comfortable you'll never want to take them off. Match a denim mini skirt with halter top for the perfect beach party look or a button-up for office chic. The perfect day-to-night piece, a button-front mini with a flattering straight shape. Crafted of best-of-the-best denim with a touch of stretch, it's a skirt as fuss-free as a pair of jeans (it even has classic five-pocket styling).